Many horseracing fans will be familiar with totepool betting. But those that are not can find out what totepool is by reading this in-depth review now. 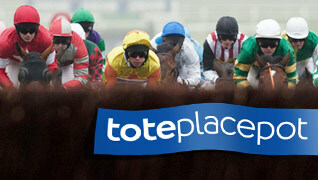 What Totepool Bets Can I Do? For anyone who likes to increase their chances of procuring a winning bet at horseracing meetings, in the bookmakers or online, choosing to place a totepool bet can realistically do this. Surprisingly, this is a really easy way to bet and enjoy the process while putting yourself in line for a decent payout if your selections result in winners. It is in fact a good alternative kind of wager to the traditional place or fixed odds kind. So let's see what totepool is and how it works. First of all, let's explain just exactly what this kind of betting is. Totepool is a means of placing a bet into a large pool of money (hence its name) from which the winners are paid out in a similar way to the football pools or the National lottery works. The pool generally covers a number of different races at each meeting, enabling the punter to spread his bets across several races and permutations of races to increase hi winning chances. Of course, the more thinly he spreads his bets, the more chances there are to win and because the prize comes from a pool and not a fixed odds bookie, the winnings can be substantial. In fact, one lucky punter recently won over £1.4million from a £2 stake playing the totejackpot! So it can definitely pay to get involved with this means of betting. As an example, if a hundred punters each bet £10 on a single race, there would be £1,000 available to be won. If only one person chose the winner, he would pocket the whole £1,000 (less bookies deductions), but if four people chose the winner, they would each share the pot and receive approximately £250 each. When you compare that to betting on a single horse in a race where you might get say 10/1 odds, your £10 would only win you £100. So you can see the appeal of this kind of betting structure. You can be in with a chance of winning a truly life changing amount of money from a relatively small stake. Take the example given above where one lucky punter walked away with almost one and a half million pounds! You can actually get better value when compared to fixed odds betting for the same stake. There are many examples of this happening regularly and frequently, but it should be remembered that the amount you can win will vary according to the number of people who choose the same horses as you per race. The way you place your bets is chiefly down to your own personal preferences and what you like to do will be different from what another person like to do. With that said, there are some big advantages to opting for a totepool bet over a fixed odds equivalent. The best way to be sure you are going to get good value for your stake is to check out the pool carefully and compare it with what the bookies are offering to see which gives you the best value for your money. Often, the pool will be a better choice on the day.